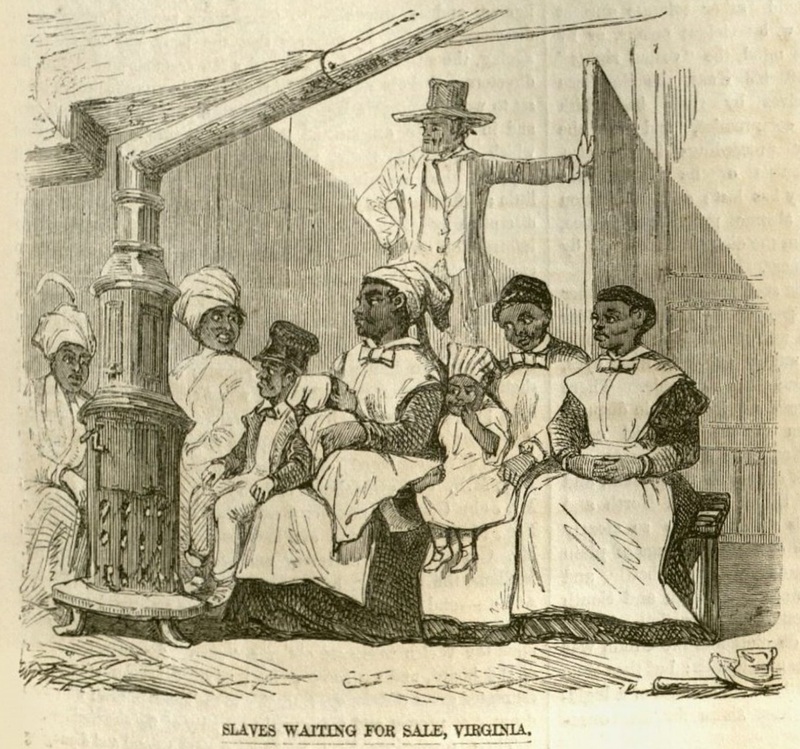 This was part of a series of illustrations of slave life in the South. The man in the background holds the future of these women and children in his hands. The Illustrated London News, 27 September 1856. Courtesy of University of Missouri Libraries.